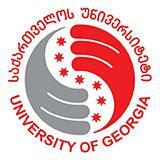 On 13th of February, the Innovation Center of the University of Georgia hosted yet another Startup Talks on- “Experience of Global Georgian Startup” and speaker of this lecture will be Mr. Giorgi Laliashvili. Mr. Giorgi Laliashvili is co-founder of Appstock, Georgian Browser that achieved success at international levels. By using Appstock everyone can open Facebook, Twitter, Instagram, Linkedin, and other social platforms in one tab. Stay reminded that one of the most famous journals- “TechCrunch” named Appstock among top 40 future perspective startups from 15 000 startups.